A quick and easy meet and greet parking service where you won't have to worry about parking your car or catching a transfer! 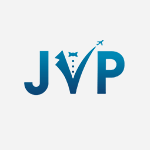 Just Valet is rated, on average, 5 out of 5 by 379 Airparks customers. You can find the full reviews on our Just Valet reviews page. Let someone worry about parking your car for you while you simply stroll into departures and get on with your holiday. To check live pricing and availability enter your required dates at the top of the page and when you're ready to arrange parking at Gatwick Just Valet Parking, you can do so through our easy online booking. You can see our full range of parking on our Gatwick Parking page. When you're about 10 minutes away from the airport call Just Valet Parking on 07716 063663 to let them know you're on the way. Head to the drop-off point at Gatwick Airport where you'll be met by one of the professional Just Valet drivers; they'll have your details so they'll be ready to take your car straight away and park it for you. The best bit about a meet and greet service (aside from someone parking your car for you) is that there's no need to worry about transfers! Simply stroll into departures and let your holiday commence! When you've returned to the UK give Just Valet a call as you reach the Arrivals Hall; this will give the driver time to return your car to the drop-off point ready for you to jump in and drive home. Please note: It's your responsibility to ensure that your vehicle has valid tax and MOT.